Contributions could be paid at AfTLD events or global Internet community events. Payments could also be wired directly to the AfTLD accounts with details indicated elsewhere on this application form. 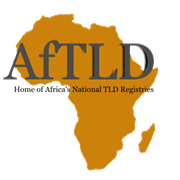 I, the undersigned, would like to apply for membership of AfTLD on behalf of my organization/ccTLD and would like to confirm that I am duly authorized to make and sign this application form on behalf of the applicant organization/ccTLD. The applicant hereby recognizes the role of AfTLD on the regional and international level and for the duration of its membership in AfTLD agrees to adhere to the constitution, rules, byelaws and procedures of AfTLD.